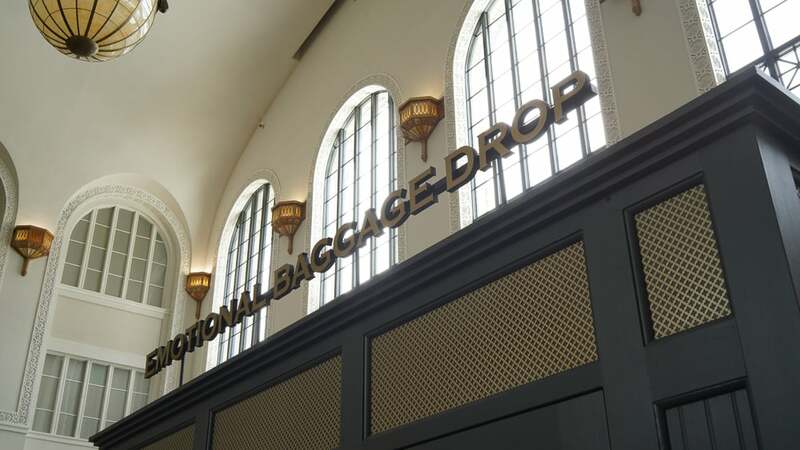 The Emotional baggage drop is a participatory installation that mimics a physical baggage drop. 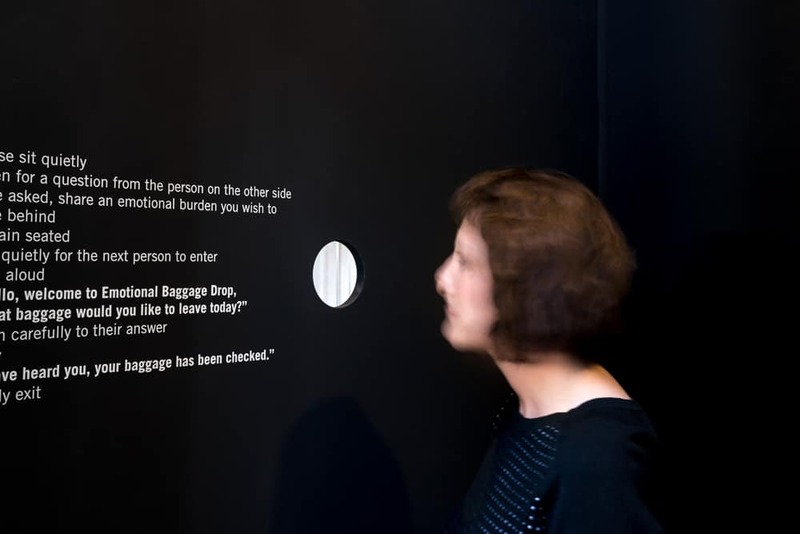 The difference being that here visitors are invited to leave behind an emotional burden. 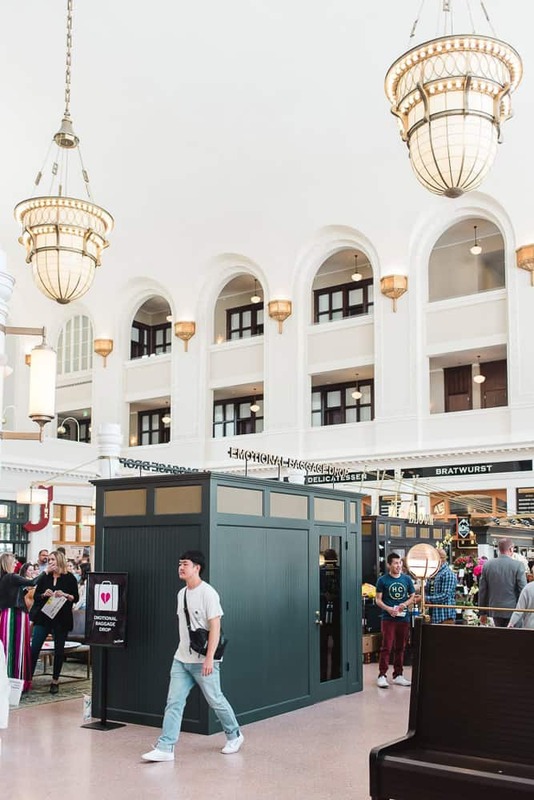 The perfect site for such an intervention is Denver’s main train station, Union Station. 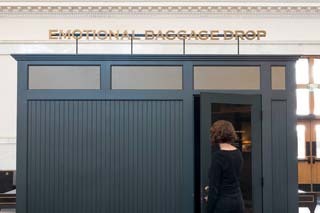 The baggage drop itself has been designed to blend seamlessly into the interior architecture of the space suggesting that sharing emotions with each other should be as normal as checking a suitcase. The piece works by bringing strangers together, linked by eye contact only through a small hole, each releases a burden to the other. Coming together like this, in public space and releasing what we might have carried for a long time can be powerful and transformative. Sometimes speaking is powerful, but what can have a deeper and more lasting resonance is knowing that you have been heard. 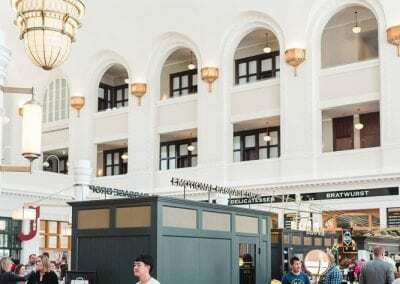 In a world where are connections are increasingly digitised, controlled and edited, real emotional contact with other humans seems all the more potent. 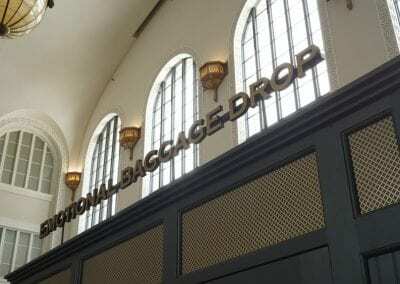 The Emotional Baggage Drop was made possible by the support of Black Cube Nomadic Museum and the Denver Theatre District, with thanks to Union Station.